Méndez Blake has established himself internationally for his clever combination of the written word with architecture. 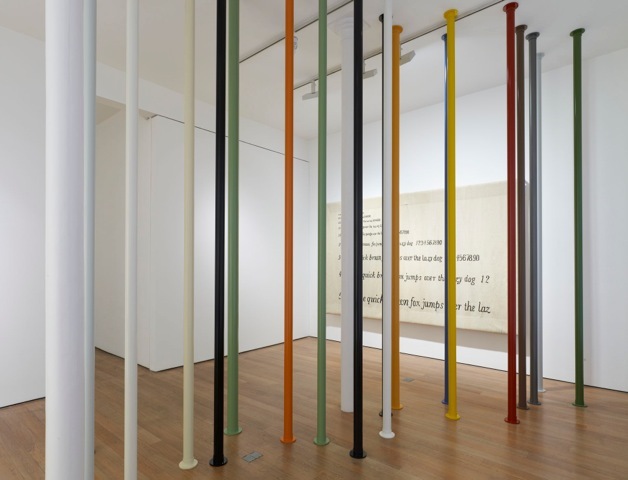 In this show he concentrates on “measuring” the text of poets who share the English language – James Joyce, Wallace Stevens, Dylan Thomas, Shakespeare, Beckett and Ray Bradbury. How you may well ask? 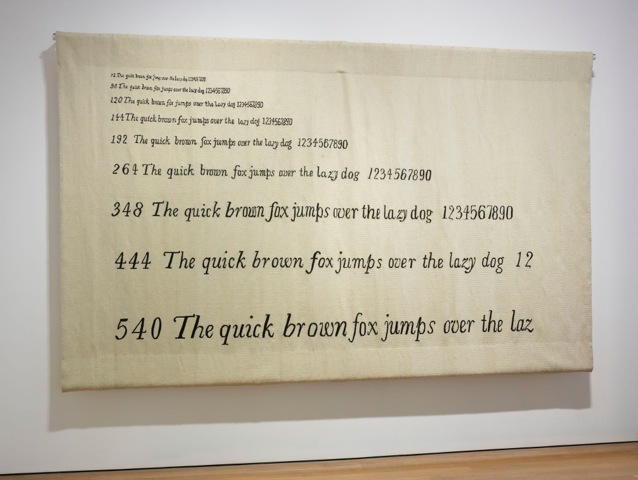 The measurements correspond to the silhouette of the stanza, the type and the area of ink used and then they are translated into sculpture, drawing or tapestry. For example the 19 floor- to- ceiling columns represent the stanza silhouette of Do not go gentle into that good night by Dylan Thomas. In his drawings the artist precisely works out the area of ink on a page and then reorganizes it as palindrome. 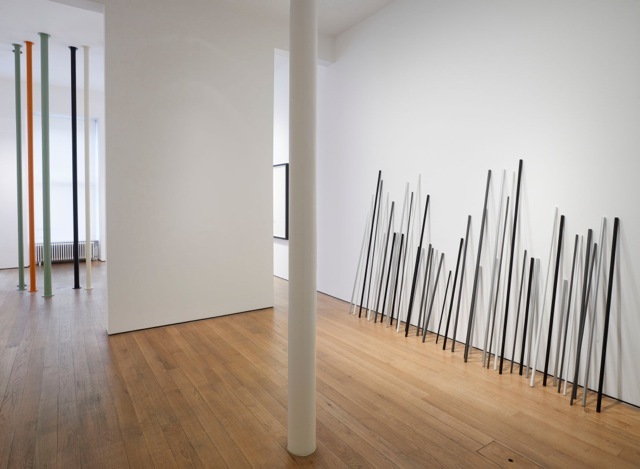 He also measures the length of poems and transforms the lengths into sculptures made up from aluminium tubes. It is an intriguing way to examine the written word and poetry.